New purchase mortgages, auto loans, and insurance are all potentially more affordable when you have a higher credit score. Experian, one of the three credit reporting agencies, may be rolling out new features in the new year that could bring participating consumer credit scores higher. January 20, 2019 - Can you get a higher credit score in 2019? There is internet talk about new features and approaches used by credit reporting agencies that could change the way some get higher credit scores. A USAToday.com report mentions an opt-in credit score called UltraFICO, which users can choose if they permit the credit agency access to checking and savings account data and other personal information. 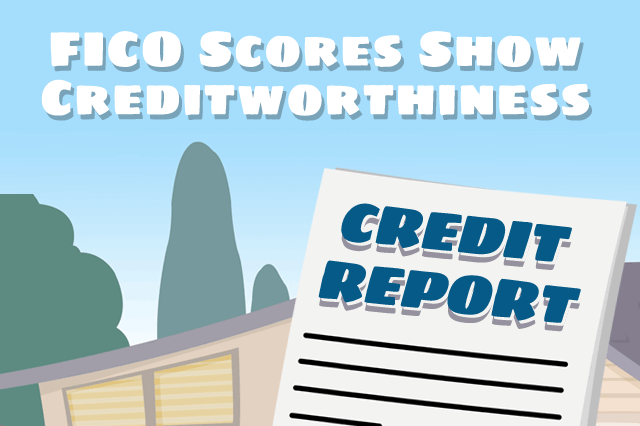 This is aimed at consumers with FICO scores in the 500-600 range and could pull a consumer credit score high enough to qualify for an FHA mortgage loan with the lowest down payment of 3.5%. FHA loan rules say that maximum financing for a new purchase mortgage loan includes only a 3.5% down payment. The FHA FICO score range for this maximum financing home loan is 580 or higher. FHA loan rules say that FICO scores between 500 and 579 would require 10% down. There may be additional lender requirements in addition to these FHA loan minimums, so the UltraFICO score plan would be a boost to those who choose to participate. This Experian plan would also, according to the USAToday report, help those who do not have a large credit history; a “thin file” credit applicant who doesn’t have much of a credit history could find themselves more favorably considered if the offering by Experian works the way it is said to. That said, borrowers will need to discuss their credit history and options with a lender to see whether that financial institution will honor this new approach to credit scoring or if a more traditional credit report procedure is required. The UltraFICO plan is at the time of this writing offered only via Experian, but later in 2019 it may be adopted by the other agencies as the UltraFICO product becomes more widely available. In the meantime, borrowers can begin working on their own credit scores right away by establishing solid, on-time payment plans, not missing or being late on any payments, and keeping things that way for a minimum of 12 months before the mortgage loan application.